The whole machine consists of driving parts, agitator and twin U-shape cylinder. The driving part is the part through which the decelerator drives the agitator to run with lines of chain or gear driving. Agitator is two shaft paddles, and the paddles run at the same speed. The paddles on the the shaft arranged with a special angle to make sure the materials can get a compound effect in a short time. 1. It is suitable for mixing powdery, granular, flaky and blocky materials in feed, food, chemicals, fertilizer and other industries. 2. This feed mixer has fast mixing speed. The mixing period between 30~120 seconds. 3. 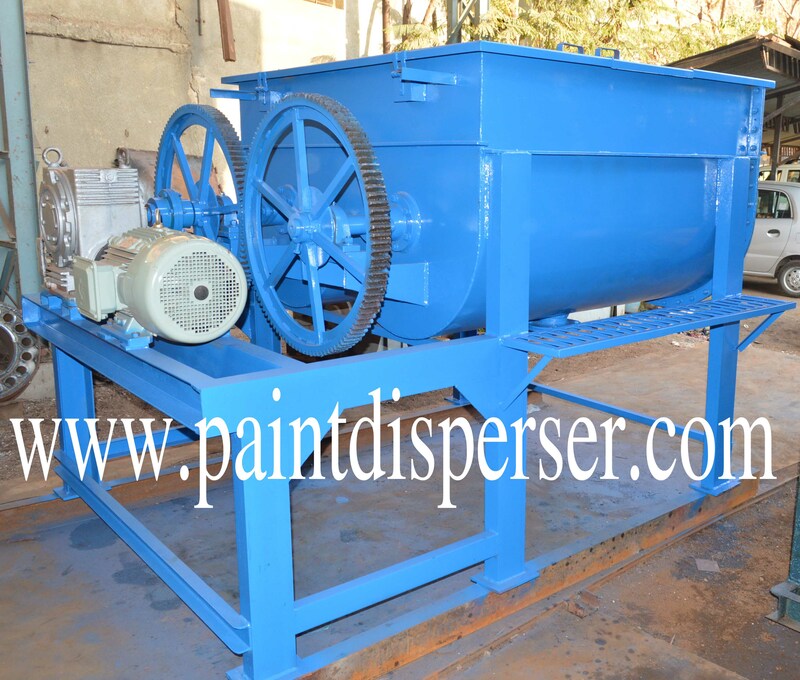 Double paddle mixer has high mixing uniformity. CV ?5% with no segregation. 5. The discharging adopt full base type large opening door with electric or pneumatic power, so the discharging is fast with low material residual rate. 6. A compressed air cleaning system can be added. It can help to reduce the residual quantity to the lowest level. 7. The dedicated atomization spray coating system can be customized. It can help to add molasses, grease and other additives more uniformly. 8. 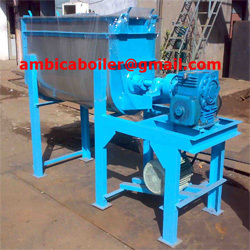 Fish feed mixer body can be carbon steel, stainless steel and composite materials. All are optional. Feed Ribbon mixer is a machine which used in feed manufacturing. It also called ribbon blenders. The mixer has a central shaft with mixing blades angled in different ways that look like ribbons of metal wrapped around the shaft, and is able to move parts of the mixture in different directions at the same time, ensuring that all materials are blended in. It is widely used in feed manufacturing. 1. Ribbon mixer is a widely applied mature machine, and it’s often used for mixing powdery materials in compound feed factory to ensure the quality of compound feed. 2. The bidirectional ribbon adopt optimal design. Both mixing and stirring are mild and high uniformity. CV?7% and no segregation. 3. Mixing cycle within 3 to 6 minutes. We adopt large opening design, which ensure fast discharging and small residual amount. 4. The transmission is stable with small abrasion. The machine body can be carbon steel, stainless steel, compound material, etc. You can choose it based on your need. 5. The multiple atomization shower nozzles can be configured and used for liquid adding. 6. The maintenance and repair are convenient.